If you were of age when Spielberg’s Jaws hit movie theaters in 1975, you probably avoided the beach that entire summer. 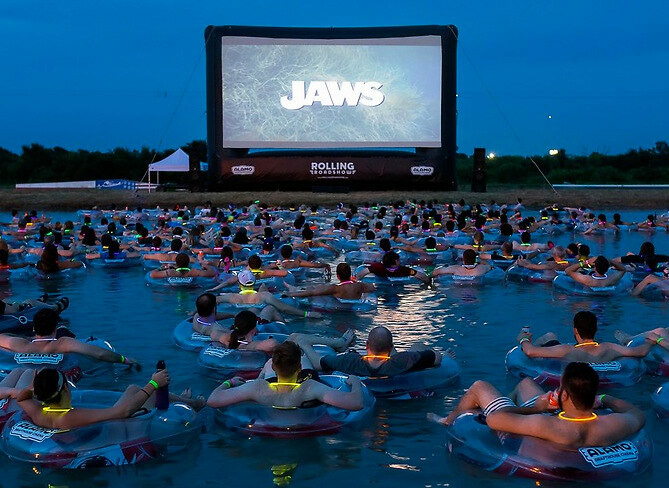 Which is why I got such a kick out seeing the clever way that the Alamo Drafthouse in Austin, Texas is showing this film at its Jaws on the Water screenings. They’re floaters, not sinkers.